Ania and Imran are return guests and have become part of the Rhino River Lodge extended family. On their most recent visit, in addition to their game drives, they also participated in a rhino dart. 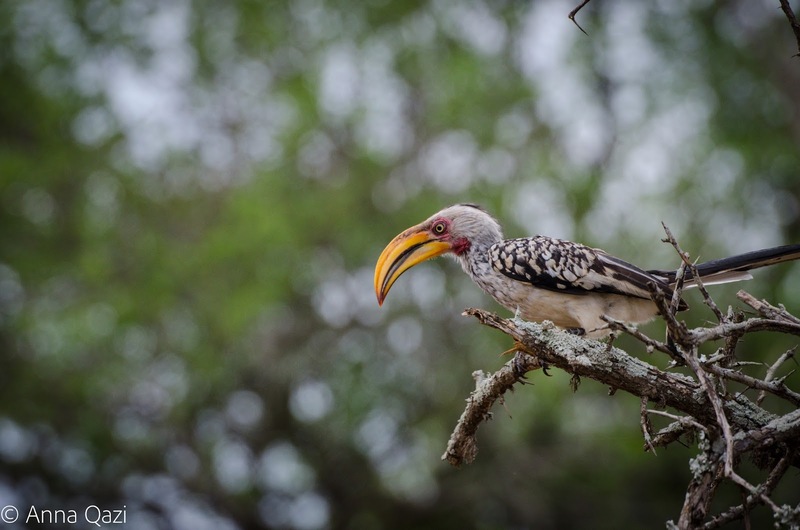 Here they share some of their favourite Rhino River Lodge experiences and some of Ania's lovely photos taken during their recent stay. How did you initially find out about and decide to book at Rhino River Lodge? My husband and I have visited South Africa a couple of times before finding and booking Rhino River Lodge. 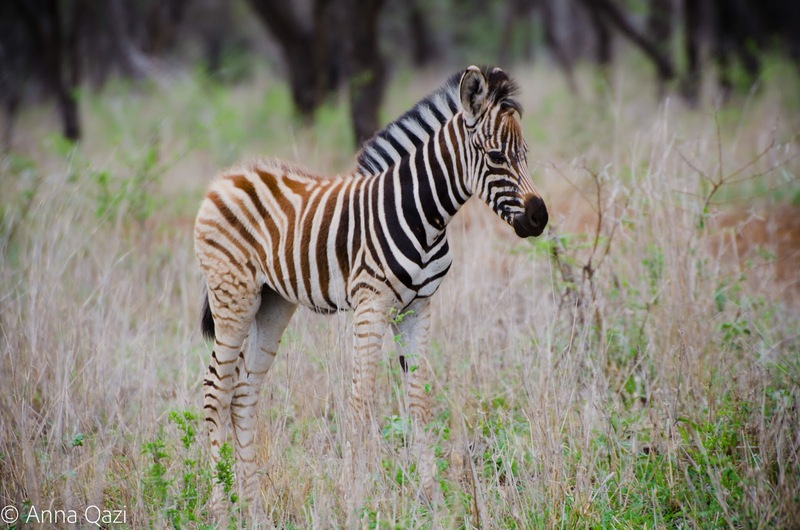 After staying at few different lodges in Shamwari Game Reserve in the Eastern Cape and inspired by Lawrence Anthony’s books we knew we wanted to see KwaZulu Natal and that’s when Rhino River came up on our radar. We checked availability and reviews of other top lodges in the area and after communicating with Clair, the lodge manager, we made our decisions. Clair was always very responsive and quick to answer any questions we had prior to booking. What brought you back to stay with us? We have absolutely loved our first stay at the lodge. Initially we spent eight nights there in December 2014. Everything from our arrival to departure was really well organised and we were looked after at all times, we always felt we had space to relax between drives. The room we stayed in was very comfortable and spacious, if we wanted to socialise with other guests we were welcome to use the main lounge area or the swimming pool at our leisure. There were animals roaming freely on the grass areas of the lodge almost every day, but what made our stay so special and influenced our decision to come back were the people. All the staff and especially lodge manager and our ranger were very friendly and genuine. We felt it was more like being on a holiday with friends rather than total strangers who we had just met. We had great animal sightings and a lot of fun on the game drives and it was with a heavy heart that we left the lodge, that’s when we knew we had to come back no matter what. 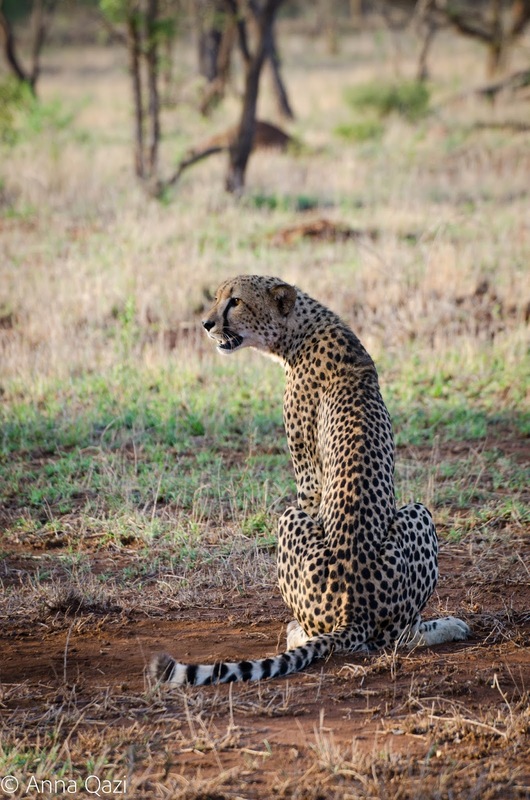 What is your favourite animal to photograph on safari? That’s a difficult one to answer. I love photographing all wildlife really, but especially animal interactions. It can be anything from dung beetles rolling around to male kudu sparring or an elephant trying to take down a tree. In my opinion rhino and big cats always make a great photo, but the most challenging and at the same time rewarding photography is capturing birds in flight. I still have a lot to learn in that area. You booked a private rhino dart during your recent stay with us, can you tell us about that experience? Rhino dart was one of the most unforgettable experiences during our stay. We had seen the photos on the reserve’s facebook page of other guests taking part in a rhino dart earlier in the year and decided to ask Clair, if it’s something we could do ourselves. She got us information we needed and made all the arrangements with Dale, the lodge owner and the reserve team. We were very excited on the day of the dart. Prior to the darting we didn’t have much information about the entire process, so finding out that it was going to be a young black rhino female that we’d be taking part in darting made us feel very lucky. Black rhino generally aren’t darted as often as the white ones so they can be more challenging to track and capture, which added to our overall excitement. On the day of the dart, halfway through our morning drive our ranger was notified that the rhino calf was found and we should head towards the meeting point to get ready. There we met the head vet Mike who was leading the operation and who briefed us in detail what was going to happen and told us about the Black Rhino Exchange Programme that the reserve is part of. Then he got in a helicopter and we jumped on the back of a truck that was following the chopper. 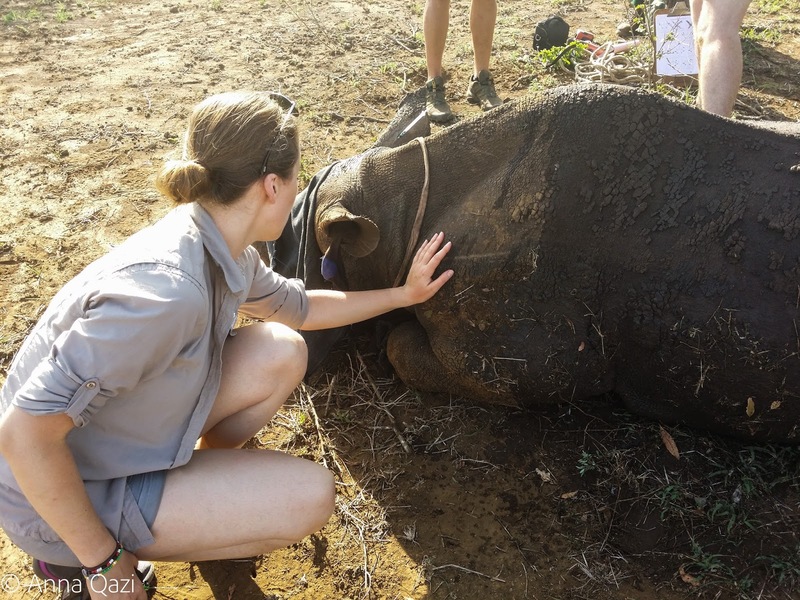 Once the rhino was darted and down with anaesthetic, it was safe for us to get off the truck and approach it. 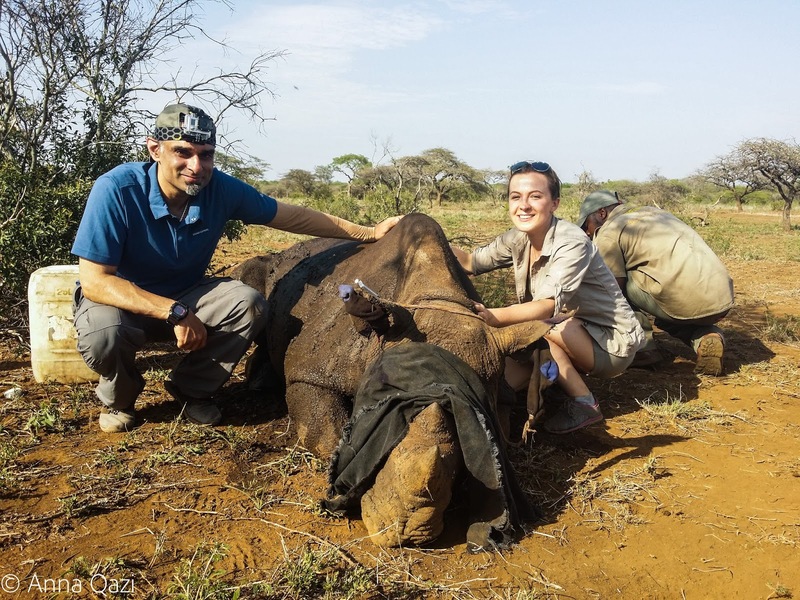 We witnessed Mike and the team taking blood and DNA samples, notching and chipping the rhino first hand. During the procedure Mike was answering all the questions we had and we were allowed to help out keeping the calf cool by pouring water over her. Once all the samples and photos needed were taken, we got back in the vehicle and watched the rhino being woken up with the reversal drug from a safe distance. The entire experience took just under half an hour and we were back to our game vehicle with the biggest smiles on our faces. We felt incredibly lucky to be part of the whole experience. 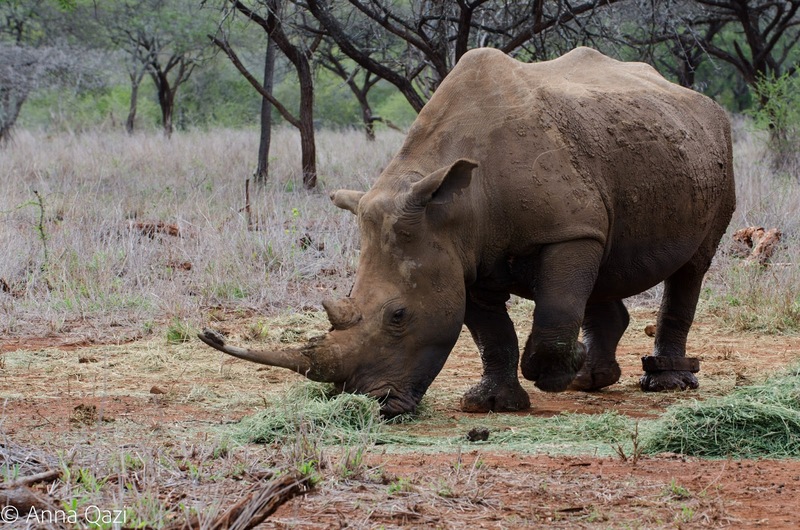 What is the best sighting you’ve had in the Zululand Rhino Reserve? There have been so many of them. We will always remember stumbling upon a lioness with her two cubs on our first bush walk with Dale or being mock charged by a black rhino female and her calf on one of the drives with our ranger Kyle. Least we forget the inquisitive white rhino that interrupted our coffee break at one of the morning drives, or spotting a porcupine and a boomslang on a night drive. 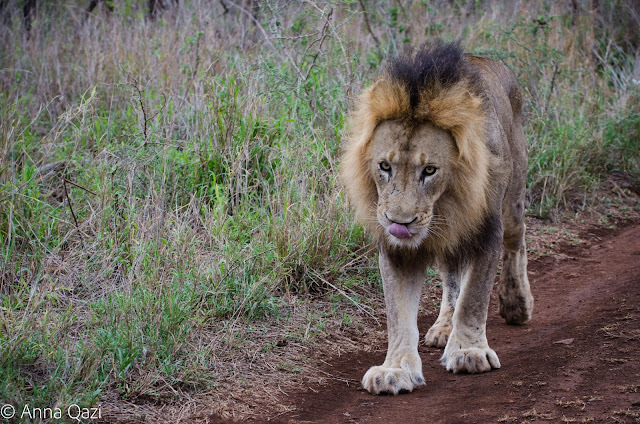 But the most memorable one must be one of the sightings on our last visit, when we came across a coalition of four lions. We were driving up the mountain knowing they were seen in the area when suddenly the ranger stopped our vehicle and there they were. Two of the lions lying in the tall grass next to the road with the third one further away in the bush and the last one down the bank. The experience got even more unbelievable when one by one the lions started roaring and moving around. One of them stood up, stretched and walked right across the road in front of our vehicle then alongside the left hand side right next to where my husband was sitting. The cat then sat few meters down right in the middle of the road becoming an “African bush road block”. Few minutes later the other lion walked along the other side, just next to where I was sitting. I have to admit, even though I knew I was in the safety of the game vehicle, seeing the big cat so up close gave me goose bumps and made my heart beat a little faster for those few minutes. 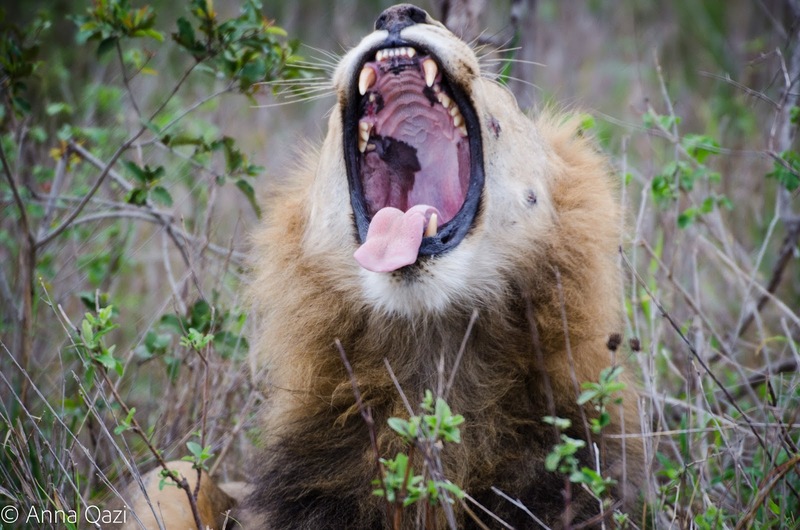 We spent a while with those lions listening to them roaring and communication with each other and took some amazing photos. The entire experience will definitely be one of those memories that stay with us forever. 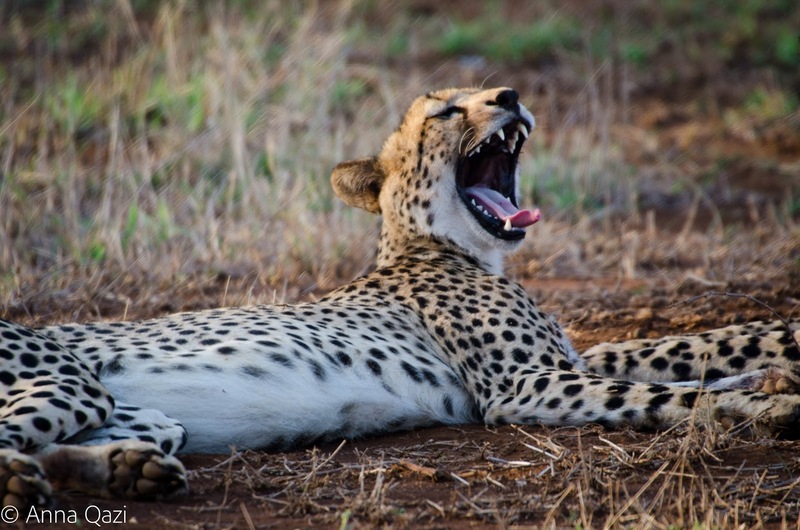 What is your favourite part of staying at Rhino River Lodge? The two times we stayed at RRL were so different and amazing that it is difficult to point out one favourite part. Having said that, the main reason of visiting a game reserve and especially RRL, at least for me personally, is seeing the wildlife and being in the African bush. Living in London, England and leading a busy and stressful life in the city made me really appreciate the time I got to spend there. It feels like home away from home and people who work there have become good friends. The place is beautiful and is run really well and on top of all that the abundance of beautiful wildlife never disappoints. You never know what’s round the corner which makes each and every game drive even more special. Anything extra you’d like to add? Thanks to the Qazi's for sharing their experiences and photographs with us. What a pleasure it is having them as part of our Rhino River Lodge family.